Hello, my name is Uwe Joorde and I live in Unna. To make it short: I've been in love with science for as long as I can remember. For me, science and technology are the means to make life easier and give us the opportunity to take it into our own hands. Not surprisingly, I started studying computer science at the Dortmund University of Applied Sciences. Some of you may remember those punch cards. That was a long time ago, but the progress of technology to date has always been interesting and fascinating. After several assignments and projects in smaller companies, I moved to Helmut Mauell GmbH in Velbert, Germany, where I worked for ten years as a software developer in the R&D department. At that time I came into contact with the IP protocol, which has changed the lives of so many of us. Then I switched to a smaller Internet service provider, ARTMEDIA/NRWNET, which was founded by Udo Haarmann. In these times before Google, the Internet took its first steps towards commercial use and I had the opportunity to build up all essential IP services such as e-mail, DNS and all other services connected to the network. This means the setup, configuration, programming of RADIUS with user database, a dial-in router consisting of a series of analog/ISDN modems connected to a terminal server, Apache, the BIND, etc., etc., etc., in other words: Whatever an Internet Service Provider needs. I was very proud to get one of the first audio streaming services ever to work. Those were fun times, because we were just two guys at the job. My colleague worked on the Apache, and the rest was up to me. Most of the sources for LINUX came from Stanford University, which together with the good old O' Reilly books saved my life. Now that I was infected, I wanted more and longed to play with bigger toys, and the biggest ISP in Germany at that time was EUNET, a spin-off of Dortmund University. I joined EUNET and had a really great time there. 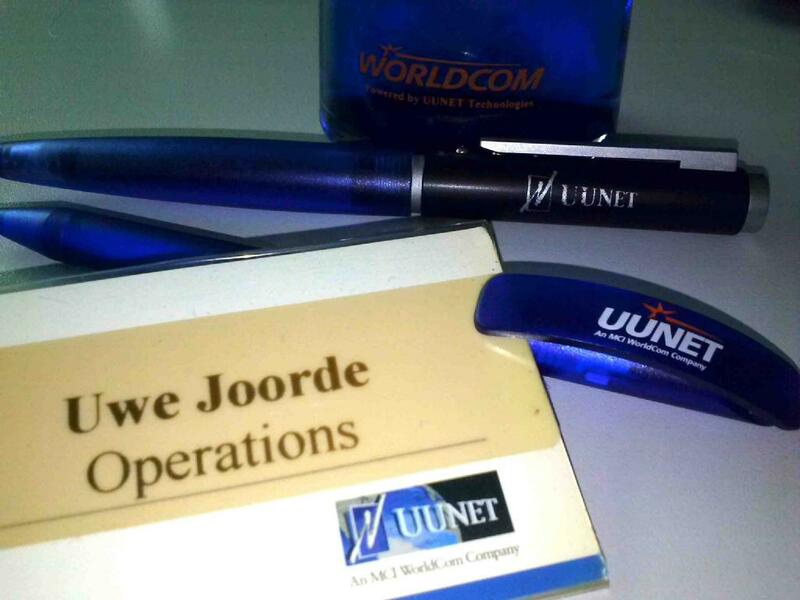 When they were purchased by UUNET, I switched to the engineering department of UUNET and received the order to migrate all RADIUS systems of the ISP that UUNET had purchased in the EMEA zone to a common proxy infrastructure. Sometimes it was a very difficult job with many obstacles, such as my French colleagues who had suddenly lost their ability to communicate in English whenever they liked it. Unfortunately, Bernie Ebbers, CEO of Worldcom, UUNET's holding company, lost track of the money he had borrowed from the banks and the entire holding company went down the drain. That was the signal for me to stop looking for a new job. In 2002 I became a member of Deutsche Telekom's IP backbone engineering team based in Münster, Germany, and I am delighted to be part of this competent team. DT`s Backbone is one of the largest backbones in Europe and as aTier1 we are globally networked. In recent years I was responsible for IP Multicast Engineering. One of the first requirements for IP-MC transports came from the German IP-TV service `Entertain`, but with the growing number of requests we decided to use Labeled IP-Multicast, which of course makes sense within an MLPS backbone. To achieve this goal, I work closely with our router providers and standardization organizations such as the IETF.